The Canadian Cancer Survivor Network would like to wish a very Happy Father’s Day to all fathers and father figures, especially those who have been diagnosed or are living with cancer. Fathers and father figures play a very important role in the lives of everyone around them, and can be an amazing support system to their families. The Canadian Cancer Survivor Network would like to encourage everyone to show Dad that you care, and to make him feel appreciated for all that he does. We also remember all those fathers who did not survive cancer. We would like to invite you to browse our online auction and check out the many different items that would make great Father’s Day gift!s With items such as a signed Craig Anderson hockey jersey, plenty of restaurant gift certificates and various entertainment options, you’ll definitely be able to find something that any dad would love! Prostate Cancer Canada invites you to celebrate the day by wearing plaid! The Plaid for Dad event is a campaign which raises awareness and research funds for prostate cancer. Pancreatic Cancer Canada is asking you to help fund research leading to new treatments as well as send fathers an e-card to commemorate the day. Canadian Cancer Society has some awesome gift ideas through their “Gifts for the Cure” campaign. HIS Breast Cancer has a fantastic blog with some gift ideas for father’s day when a dad is going through a cancer diagnosis. Screw Cancer is a father’s day gift that gives back. Buy a Screw Cancer screwdriver and 40% of your purchase will support cancer-fighting charities. 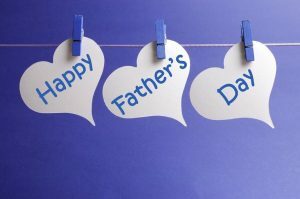 We hope all fathers and father figures have a fantastic day!